It’s time to think about the electrical system on board Clasohlsonkart. After purchasing a Toyota Prius hybrid “converter assembly” (read: rather large 50kW inverter module”) I have settled upon using that to control the motor. This is because the engineers at Toyota have already done all the work for me in terms of designing the power stage, meaning I only have to write the code that controls the three phase PWM inputs to the inverter (the truly difficult bit). The inverter is rated to 500VDC input and around a 30-50kW output with water cooling. This is ideal for powering a go kart as it gives me an incredible range of motor and power source combinations that would work. 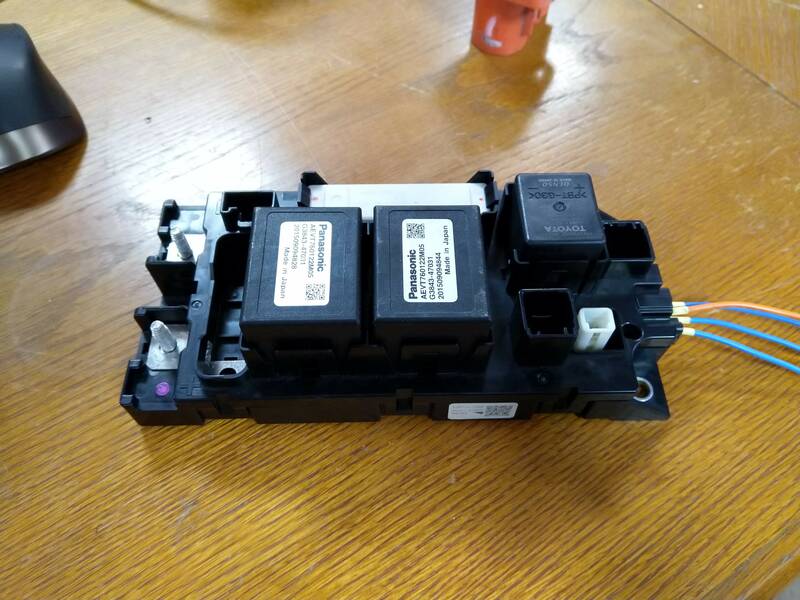 I have also bought the battery contactor assembly from a Prius. This contains a current transformer, two large relays capable of switching the battery current, and a smaller relay and resistor combination to handle precharging. This is easy to control as the module is dumb – the connector has a common and three relay coils. When sitting down to design the PCB to control the main power system, I realised I have not properly thought about the input voltage to the system as this will dictate the buck converters used to power the control system. After some bike shedding with myself, I decided upon the set of criteria below to work with (for now, anyway). Control system supply voltage: 12V at 4A – this should be enough for now to power everything I have planned, although an external buck converter could provide additional current in future. Hopefully these will be flexible enough for now to make the system easy to change and expand in the future. The only minor concern that I have is the 4A current on the 12V rail – as this will be powering a large number of things, and the inverter alone pulls nearly 1A at 12V for powering the internal control systems.